We are engaged in providing Hollow Block And Pavement Block Making Machine to our clients. 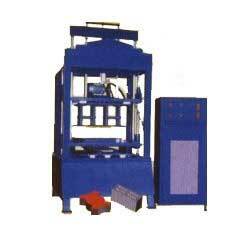 The Hollow Block And Pavement Block Making Machine is made from high grade components. Its excellent quality is assured with the help of strict quality checks. The Hollow Block And Pavement Block Making Machine can be availed at the market leading prices from us.